Cold weather for this weekend, leaving me with indoor activities. No arguments from me..... it only took a fraction of a second for me to decide it was Crafting Time. Yes, Yippy, Yahoo! As I started looking through my stash, I realized I have very slim pickings in the wedding theme department.....Yikes! I guess it's a great excuse for shopping, right? Lol. Note to self to stock up on wedding stuff later.... no time to do it now. Another note to self is to expand on more Die Cuts instead of having to rely on cookie cutters . Lol. One tight deadline. First attempt at making a wedding card. Two weddings. Two cards needed ASAP. And the worst part is I am clueless on wedding colors. 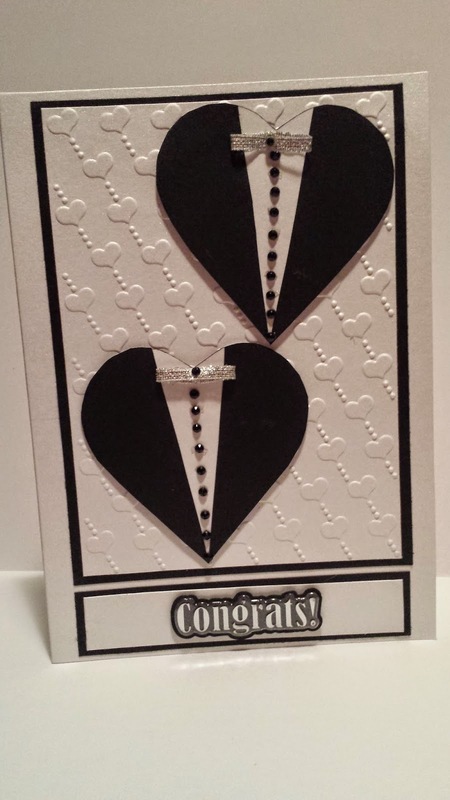 So to keep this short and sweet, here are the two cards I whipped up for the two wedding occasions. 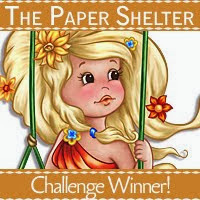 Both cards have a shimmery white pearl type paper used on backgrounds and on inside the cards. Other colored shimmery paper as well as solid white and black cardstocks were used on cards. 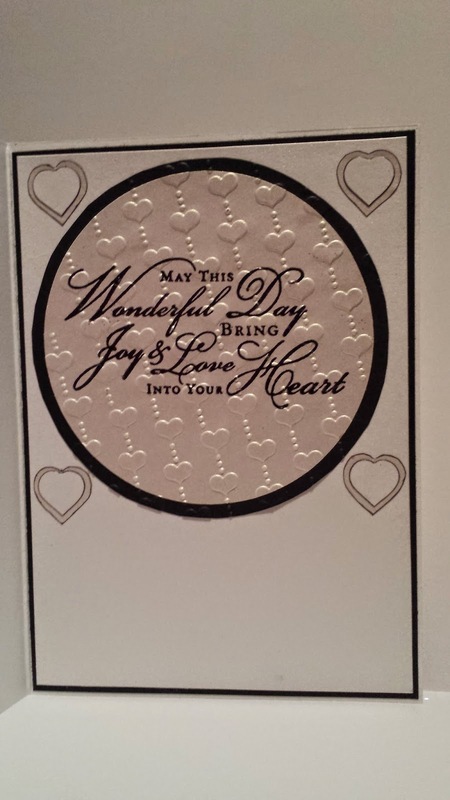 The design backgrounds of cards have the Darice Hearts Embossing Folder. 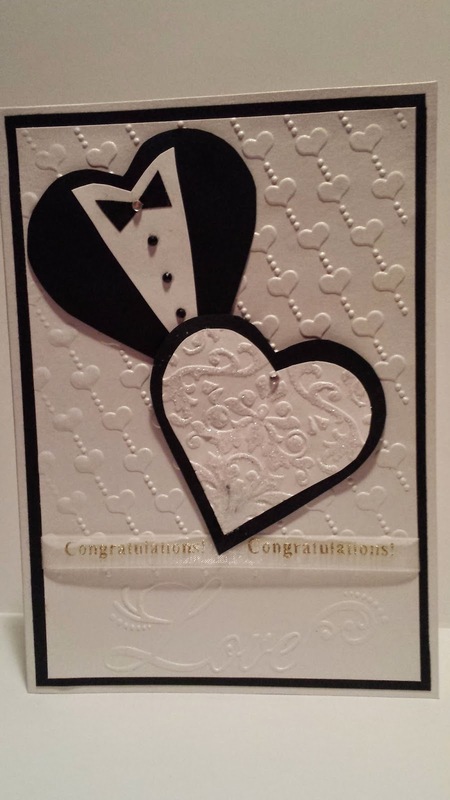 The bottom of the second card Love is from a 3 Pack of Darice Folders called Inspiration. The bridal dress heart is a Darice Damask Embossing Folder. 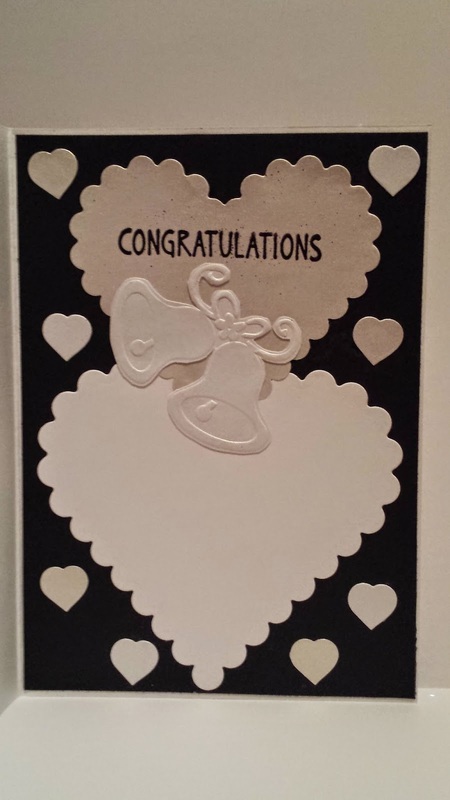 The bells on inside of the second card is a Sizzix Embossing Folder which is part of a wedding set. Other supplies used are black embossing powder on inside sentiments, Silver shiny ribbon and sheer ribbon with gold sentiment. The Congrats! sentiment is a Recollections Dimensional Sticker. Thank you for joining us on the WOW! and Ruby Rock-It blog hop! Oh, I love these hearts turned into bride and groom. So creative and elegant.